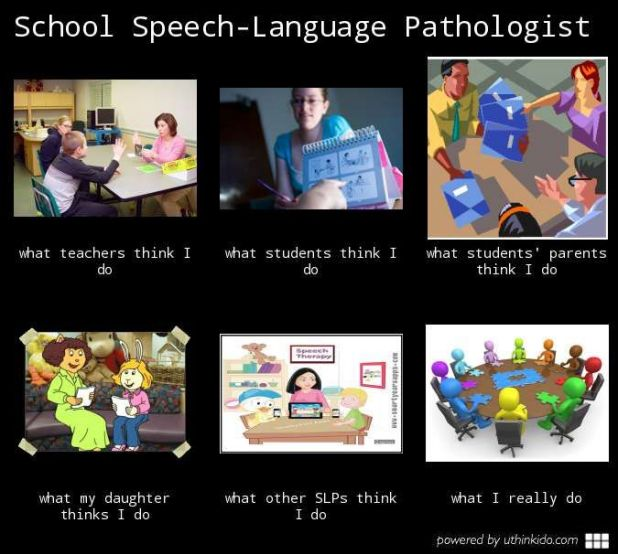 What do speech and language professionals do, anyways? This chat ran March 18th, 2012. Here is an archive of the Australian-based chat and here is an archive of the North American-based chat. 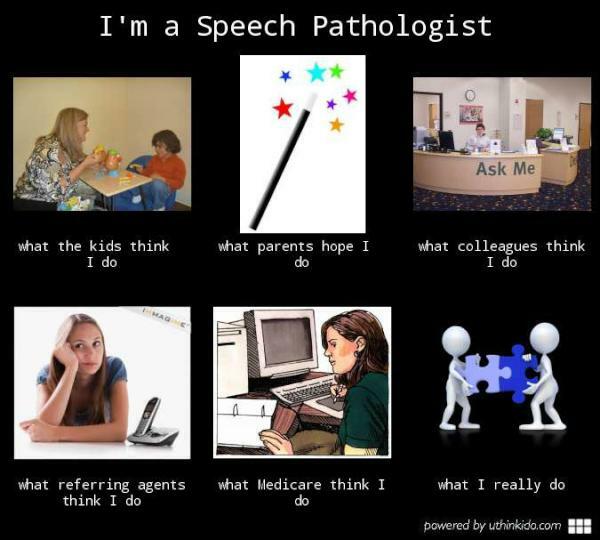 Whether you are a speech pathologist, a speech language pathologist, a speech and language therapist, or a speech therapist, speech therapy assistant, speech language pathology assistant, communicative disorders assistant or otherwise – you have an important role in your community. During this chat we’re talking about our ‘roles’ and ‘identity’ from our own perspective, and from the perspective of people we meet, people we know, people in our own families, our employers, or anyone at all. 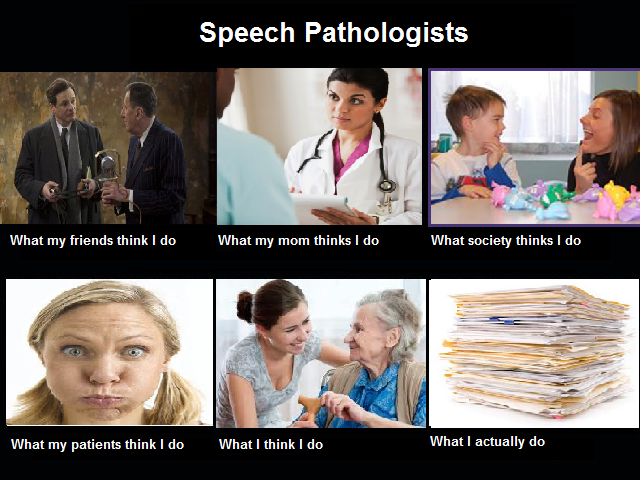 The question is – who are we in terms of our role, and what do we do, and what do other people think we do? The reason it might be important to think and talk about this is that ‘role clarity’ is an important factor in successful collaboration. It is only when people are clear about their own roles and those of others, that collaboration can be most effective. Our last experiment with 2 different time zones worked well, so we’re trying it again! That means that you have two different times to come out and participate in the chat. They are: Sunday, March 18th at 4:30 pm Sydney, Australia time and again at 2:00 pm New York, USA time. If you are wondering what time each of those will be for you, here is a great visual timezone page that will allow you to put the cursor over each time and then see what time that will be for you.